Synonyms: Mitcham mint, balm mint. Aroma: Piercing, refreshing, sharp, menthol. 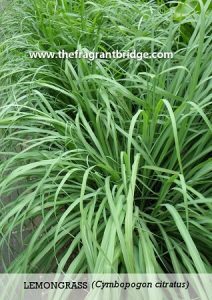 Plant: Grows to around 100cm with underground runners. 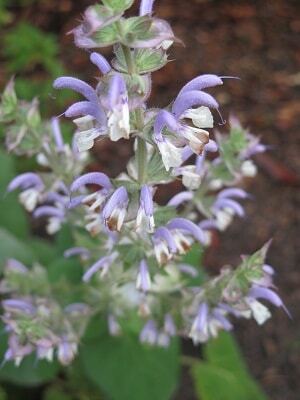 Purple blossoms grow from the axis of one or two leaves and form spikes at the end of each stem. 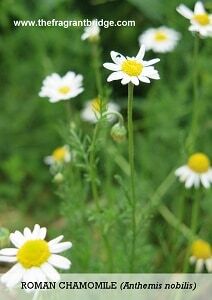 It rarely seeds as it is a hybrid except in Japan where it seeds freely. Main Growing Areas: USA, India, England, France, Australia. Major Constituents: Menthol, menthone, pulegone, 1,8 cineole, sabinene hydrate, limonene, neomenthol, isomenthone, beta-caryophyllene. 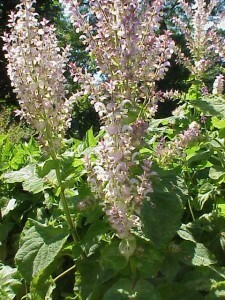 Interesting snippets: Peppermint was used as a digestive herb and to scent the bath water by the Greeks and Romans. 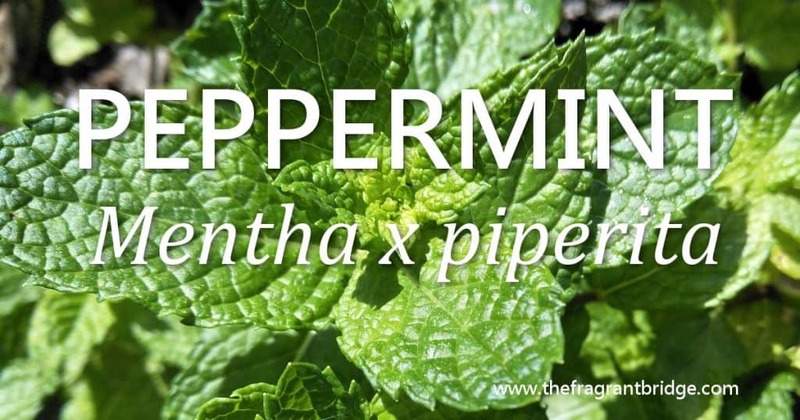 Peppermint is thought to be a hybrid between spearmint (Mentha spicata) and water mint (Mentha aquatica). It was used in the14th century to whiten teeth and later to mask the smell of tobacco. Part of Plant used / Extraction: Flowering tops and leaves by steam distillation. Distillation of the dry material takes 45 – 60 minutes. The average yield is around 0.4% but can go as high as 1%. Therapeutic actions: Small doses warm and tend to stimulate while large or frequent doses cool and tend to relax. 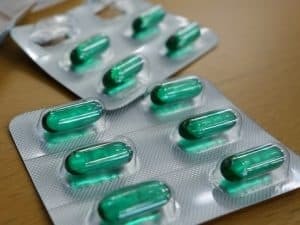 Shock, sinus pain and congestion, indigestion, tension headaches, colds and flu, nausea, colic, flatulence, stomach pains, diarrhoea, muscular aches and pains, joint pain, bruises, insect bites. Emotional and Spiritual: Clears the mind and stimulates clear thinking. Mental fatigue, motivation and self-confidence. Robbi Zeck writes that peppermint assists in reconnecting you to your vital passion, whisking you away upon the winds of purpose. Being unfocused can turn you away from your bigger dream and when you are living passionately on purpose, the direction of your life will change. 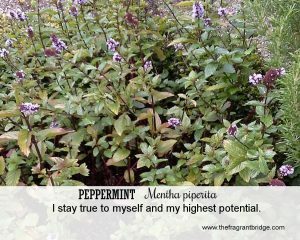 Keim and Bull write that peppermint promotes healthy self-esteem, integrity and ethics. 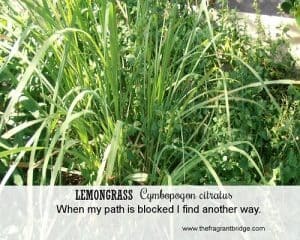 Helps us to discover our hidden gifts and strengths. Peppermint helps you connect with your purpose in life. Keeping your vital passion potent and ready to meet life’s challenges questioning your purpose and direction. Do not get caught up in other people’s games. Stay on your path, be true to yourself, go out on that limb and enjoy taking those risks to succeed. 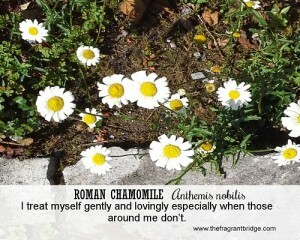 Fragrant Change Healing Card: I stay true to myself and my highest potential. 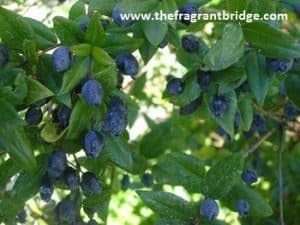 This entry was posted in Essential Oils and tagged clear thinking, digestive issues, mental fatigue, muscular aches and pains, nausea, peppermint essential oil, tension headaches on February 12, 2019 by Carole Hodges. 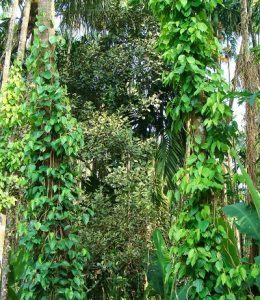 Plant: A perennial woody vine up to 5 metres high with heart shaped leaves and small white flowers. The berries turn red to black as they mature. Main Growing Areas: India, Indonesia, Malaysia, Brazil, Sri Lanka. Major Constituents: Beta-caryophyllene, delta-3-carene, limonene and alpha and beta pinene, sabinene. Interesting snippets: Black pepper is one of the oldest known spices and in medieval Europe was worth its weight in gold. In Roman times taxes were paid with black pepper instead of coins. The Greeks used it to combat fever. If the fruits ripen before drying they yield white pepper. To give them the ability to cover large distances on foot, the mendicant monks of India, swallow 7-9 grains of pepper a day. Part of Plant used / Extraction: Dried crushed black peppercorns by steam distillation. Therapeutic actions: Muscular aches and pains, tired and aching limbs, warming oil for cold hands and feet, severe bruising, stimulates appetite, expels wind, constipation, onset of colds or flu with headaches, chills and fatigue. May help if you are trying to quit smoking. Black pepper helps to strengthen your willpower and determination so that you are able to overcome obstacles, face challenges and persevere during difficult times. Addresses the feelings of anxiety, worry, lack and despair that can make you feel powerless and stimulates the courage and determination to face your fears and overcome them, thus increasing your self-confidence and self-worth. Helps to digest any feelings of frustration and anger you may have about yourself. Patricia Davis writes that black pepper helps us to get a move on at times when our lives feel stuck. It helps move blocks that can prevent movement between one chakra and another, especially between the solar plexus and heart. Robbi Zeck notes that you are in charge of your life and to take responsibility for what you say, think, feel and do. Being accountable also means letting go of blame and judgement of yourself and others. Helps you find your direction in life. You have no idea or some idea of where you want to head in life, but you are running out of the emotional stamina to keep going. 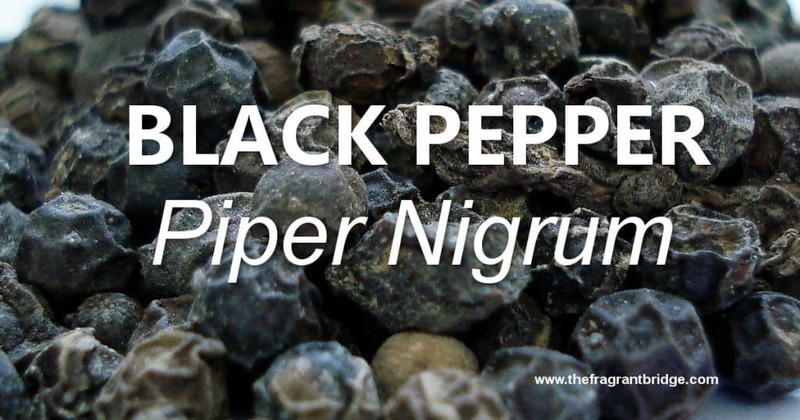 The warmth of Black Pepper assists in loosening blockages that may be holding you back. 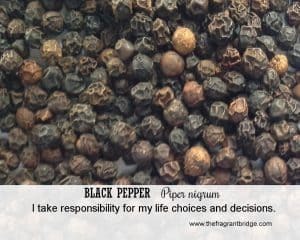 You are trustworthy and loyal but feel responsible for everything and everyone, use Black Pepper to stay focused on your path. Allow your ability to motivate others to bring warmth and confidence to yourself. Follow your direction in life and prosper. 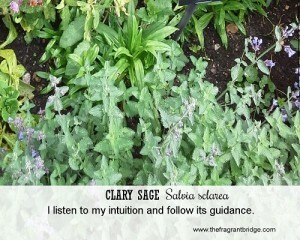 Fragrant Change Healing Card: I take responsibility for my life choices and decisions. 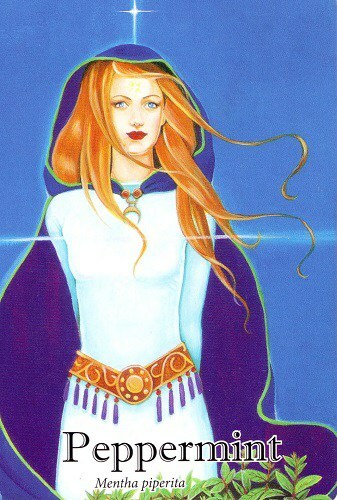 Contemplations for the Soul Card: Are you continually blaming others and fate for whatever goes wrong in your life? Do you lean on or cling to others wanting them to make decisions for you? Do you lack trust in your own judgement and continually worry about the decisions you have made? It’s time to stop and stand on your own two feet. You have the inner strength to take responsibility for your actions and their consequences. Decide now whether you want to stay stuck blaming everyone and everything but yourself for whatever happens in your life or to move on and take back your power. Whenever a decision needs to be made and you are unsure which path to take, be still, listen to your inner guidance and act. Whatever the outcome take responsibility for it knowing that you are taking charge of your life and the direction it takes. Safety: Non-toxic can be an irritant on sensitive skin if the oil is old or oxidized. Note: Black pepper is often adulterated with turpentine oil, a-phellandrene, limonene from orange terpenes and clove leaf terpenes so it is important that you know and trust your supplier. This entry was posted in Essential Oils and tagged anxiety, black pepper essential oil, colds and flu, muscular aches and pains, powerlessness on June 20, 2018 by Carole Hodges. Plant: Tall evergreen tree with reddish brown deeply fissured bark and a flat crown. The needles are 2.5 to 5cm long and 1-2mm broad, a glaucous blue-green turning darker green to dark yellow green in winter. 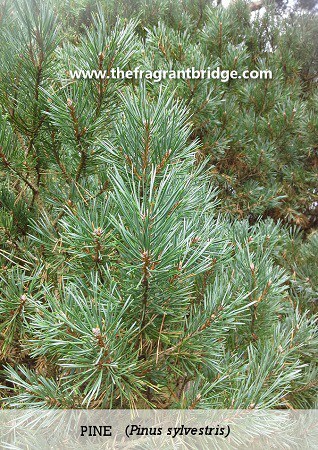 Interesting snippets: Hippocrates recommended pine for pulmonary problems and throat infections. The city of Venice in Italy has been sitting on a bed of pine since 810. 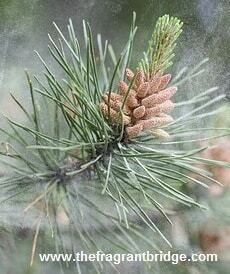 Pine trees typically live for 150 years but may live as long as 300 years. In Japanese myths, ‘The Tree of Life’ is sometimes associated with the pine. Spirit lovers are said to inhabit pine trees and live to a very old age. In classical Kyogen theatre the image of a large pine tree always provides the stage backdrop. Emotional and Spiritual: Feeling helpless and unworthy. Mental fatigue, promotes feelings of energy and well-being. Instils feelings of confidence, courage and clarity. Clear a healing or meditation space when feeling depleted on all levels, mentally, physically, emotionally and spiritually. 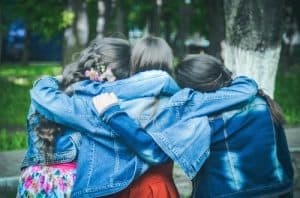 Robbi Zeck writes that pine validates and strengthens your own unique gifts and talents encouraging a simple knowing and belief of your self-worth. Gabriel Mojay writes that pine is indicated where there is a weakness of ‘boundary’ and of self-identity – where one cannot distinguish others’ responsibilities from one’s own. 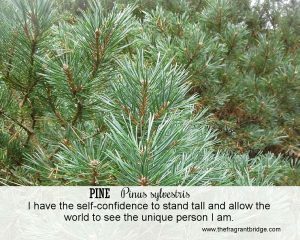 Pine works to dissipate both a negative self-image and feelings of remorse, replacing undue guilt with forgiveness and self-acceptance. 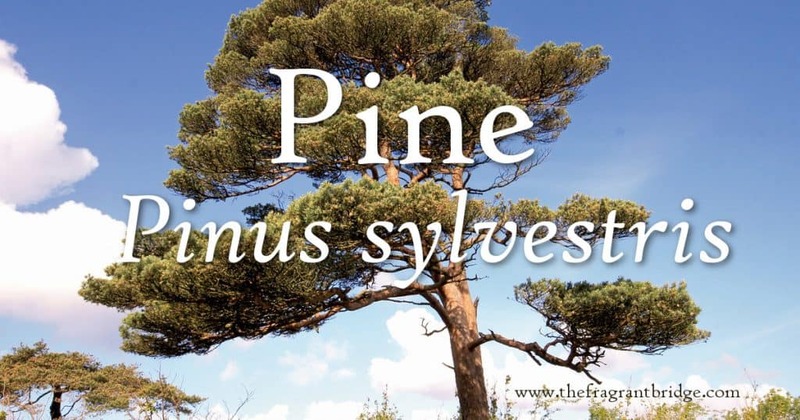 Valerie Ann Worwood writes that pine teaches that it is love and generosity of spirit that endures – in the hearts of those we have loved and known and in our children. It is time to stop rescuing others and rescue yourself. Be strong but flexible, managing the knocks in life, living your own life and letting others live their own journey. Protect your boundaries; be true to you, treating yourself with honour and respect. Let go of negative experiences and move forward to a place where you feel fantastic about yourself. Remember you cannot rescue others; they need to do it for themselves. Allowing them to grow their way allows you to grow. 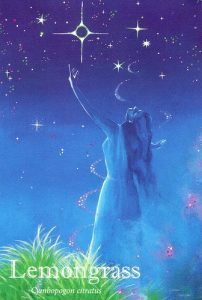 Fragrant Change Healing Card: I have the self-confidence to stand tall and allow the world to see the unique person I am. Do you feel worthless or not worthy of having all you wish for? Do you put everyone’s wishes and wants before your own? Why are you denying or hiding your unique gifts and talents? Do you feel the need to take responsibility for other people’s mistakes? Stop hiding! Stand tall and accept that your opinions matter and that you are good enough to reach your goals. Value and have confidence in yourself and others will too. Ignore everyone or thought that tells you you are not good enough to attain your dreams. Don’t allow others to overstep your boundaries and stop feeling responsible for the mistakes or choices other people make. Safety: Non-irritating, non-toxic, skin sensitising when oxidised. May be adulterated with turpentine oil or mixtures of pinene, camphene and bornyl acetate. This entry was posted in Essential Oils and tagged anti-inflammatory, anxiety, colds and flu, confidence, courage, essential oils, muscular aches and pains, pine, Pinus sylvestris, stress on April 18, 2018 by Carole Hodges. There are many men and women who are full time carers. They may be looking after someone who is physically or mentally ill. The person being cared for maybe a child or adult and is usually a family member. There can be many challenges in looking after another but many rewards as well. The trick to remaining healthy so you can continue as an effective carer is to make time for yourself and ask for support when you need it. I will talk about some of the physical and emotional challenges you may face and how to deal with them. 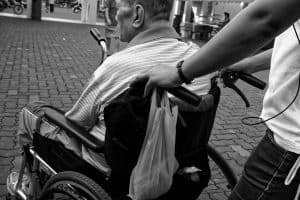 Helping the person you are caring for with everyday tasks like getting in and out of bed, going to the toilet, showering, dressing and sitting in a wheelchair can all take their toil in back, neck, shoulder, arm and leg pain if not done correctly. Learning correct manual handling techniques and the use of mechanical lifters can help prevent injury. Massage can help relieve aching muscles. Investing in a monthly massage can help by relieving the physical pain and giving you time for yourself. If you are unable to book a massage you can make the following blend yourself and massage the affected muscles. Eucalyptus (Eucalyptus radiata) 3 drops, lavender (Lavendula angustifolia) 2 drops, rosemary 1 drop in 10mls cold pressed vegetable oil. Eucalyptus (Eucalyptus radiata) 5 drops, peppermint (Mentha piperita) 5 drops, ginger (Zingiber officinale) 5 drops in 30 mls of cold pressed vegetable oil. The stress and worry that can come from always being on the alert to the needs of another can lead to tension headaches. Indian head massage is an easy and effective way to lessen the build-up of stress and tension headaches. Massaging the area with an essential oil massage blend is also effective. Lavender (Lavendula angustifolia) 2 drops, geranium (Pelargonium graveolens) 2 drops, peppermint (Mentha piperita) 1 drop in 10mls cold pressed vegetable oil. Massage neck, shoulders and temples with the blend. You can then massage the scalp without the blend if you wish. Driving to doctors and other appointments, lack of sleep, shopping and preparing special foods, making sure medications are taken on time and the other myriad of things that must be done when caring for another can all take their time and lead to physical exhaustion. It is really important that you make time for yourself throughout your busy day. Do something just for you even if it is only for 10, 15 or 20 minutes. 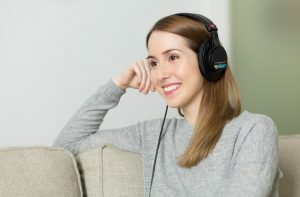 This could include going for a short walk around the block or garden, listening to your favourite music, having a massage, drinking a cup of tea or coffee in your garden really slowly and enjoying it, reading a few pages or chapter of a book or newspaper. If you are feeling physically exhausted the following blend along with getting some sleep may help. 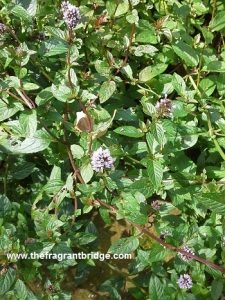 Peppermint (Mentha piperita) 2 drops, eucalyptus (Eucalyptus radiata) 2 drops, rosemary (Rosmarinus officinalis) 2 drops in a diffuser. Blend rosemary (Rosmarinus officinalis) 2 drops, geranium (Pelargonium graveolens) 2 drops and peppermint (Mentha piperita) 1 drop in a burner or vaporiser. It can sometimes be hard to get to sleep or stay asleep when caring for another. They may need you during the night or you may be physically exhausted but still find it difficult to sleep. Stress and worry is another reason for sleeping difficulties. It is important that you get enough sleep so you can stay resilient and able to cope with caring for another. Some tips to help you get to sleep. Try drinking a warm glass of milk or a cup of chamomile tea an hour or two before bed time. Visualization – Imagine a very relaxing scene. Make sure you involve all your senses. Have a warm bath with 3 drops of lavender (Lavendula angustifolia) and 2 drops of geranium (Pelargonium graveolens) essential oil in a half cup of full fat milk added to the bath. Play relaxing music to further relax you. 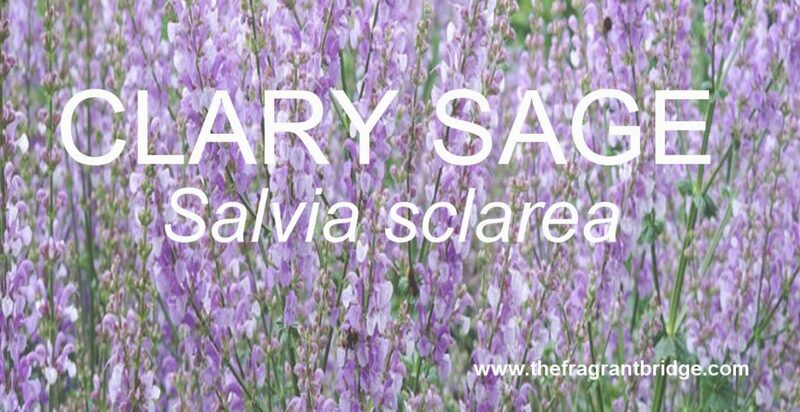 A chest massage using 3 drops of lavender (Lavendula angustifolia) and 2 drops of geranium (Pelargonium graveolens) essential in 10mls of cold pressed vegetable oil. Place a few drops of lavender (Lavendula angustifolia) or other relaxing essential oil on a tissue and leave near your pillow so you can breathe in the aroma. Add sandalwood (Santalum album) pure essential oil 1 drop, frankincense (Boswellia carterii) 1 drop and lavender (Lavendula angustifolia) 8 drops to 10 mls cold pressed vegetable oil and massage your neck, shoulders and chest. 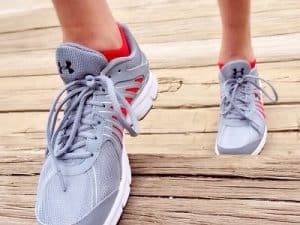 If you are lifting the person in and out of bed, showering, dressing and sitting them in a wheelchair and doing other physical work connected with caring you may be getting plenty of exercise. If your caring doesn’t involve a lot of the above you may not be getting enough exercise. Exercise is important to help you maintain strength and flexibility, reduce stress, sleep well at night and keep up your energy levels. You don’t need to go to a gym. Walking, swimming, tai chi, yoga or gardening done 3 times a week for 30 minutes maybe all that you need to keep you healthy. 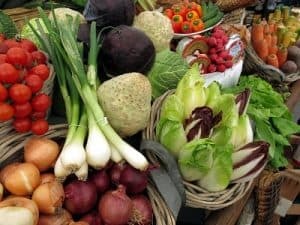 It may be a challenge at times to eat well but a healthy diet is essential if you are going to be able to have the energy and stamina to do all you need as a carer. Take time out occasionally to have a relaxing meal or catch up with family and friends. Perhaps the biggest emotional challenge for the carer is dealing with the emotional feelings that can arise from caring for an extended period of time. There may be feelings of never having a moment for themselves, the idea that this will never end and they are stuck in this role for life, suggesting ways the person they are caring for can help themselves and being ignored and feeling guilty for wanting things to change. Stress may show up as frustration, sadness, feeling unable to cope with everyday things, loss of hope, poor or no appetite, restlessness and difficulty in sleeping. Other symptoms may include tiredness, apathy, digestive problems, headaches, impatience anger and resentment. Difficult as it maybe accept that this is the way things are now and look for ways you can get help and support. 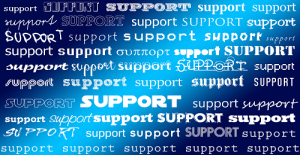 Ask your family and friends for support. Perhaps they can take over your role for a few hours while you take time for you. It may be so you can go to the hairdressers, have a massage, play a round of golf, see a movie, sit in the park or simply doing nothing and enjoying that feeling. It doesn’t matter how you spend the time. All that matters is that you spend it just for you so you can rejuvenate yourself. Know that whatever comes your way you have the strength and ability to cope. You may need to look at another way of doing something but you will get through it. Take care of yourself physically, eat well, make time for exercise and get a good night’s sleep. Spend time with family and friends. If you don’t have time to do it in person, speak to them on the phone. Ask for assistance from charities, government agencies or your local council with showering and looking after some of the physical needs of the person you are looking after if appropriate. Use essential oils in the form of massage or in a room vaporiser to help you relax. Make sure you choose pure essential oils to get the benefits. Lavender (Lavendula angustifolia) 2 drops, palmarosa (Cymbopogon martini) 2 drops, geranium (Pelargonium graveolens) 1 drop in 10mls cold pressed vegetable oil for massage or in a diffuser to vaporise. Basil (Ocimum basilicum) 3 drops, geranium (Pelargonium graveolens) 5 drops, cedarwood (Cedrus atlantica) 3 drops in 20 mls of cold pressed vegetable oil. Use as a body massage or to massage the solar plexus (where the rib cage makes a V-shape). Add sandalwood (Santalum album) 1 drop, lavender (Lavendula angustifolia) 3 drops and sweet orange (Citrus sinensis) 2 drops to a vaporiser to help calm you down. Frankincense (Boswellia carterii) 3 drops, sandalwood (Santalum album) 3 drops, lavender (Lavendula angustifolia) 2 drops in a vaporiser. Blend sweet orange (Citrus sinensis) 4 drops, lavender (Lavendula angustifolia) 3 drops and geranium (Pelargonium graveolens) 2 drops in 20 mls of cold pressed vegetable oil. Gently massage a small amount of the blend into the back of the neck, onto the chest and over the solar plexus (where the rib cage makes a V-shape). Cedarwood atlas (Cedrus atlantica) 4 drops, sweet orange (Citrus sinensis) 3 drops, lavender (Lavendula angustifolia) 3 drops in 20mls cold pressed vegetable oil or in vaporiser. 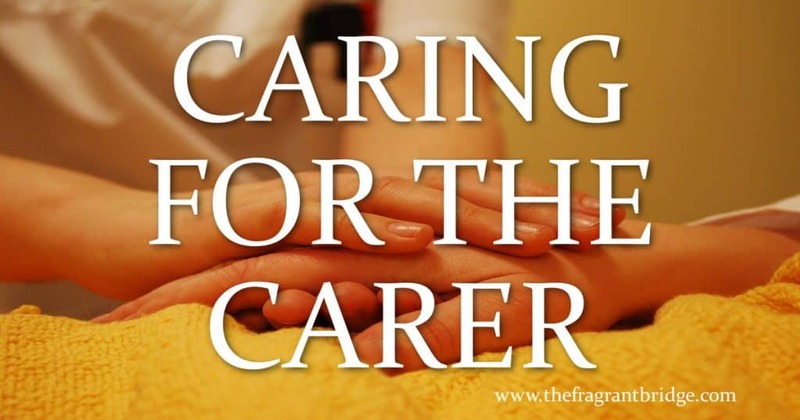 Too often as a carer you are so busy caring for another that you neglect your own needs and health. Once you begin caring for a parent, spouse or child the relationship between you can change. This can result in more conflict and frustration on both sides. One may feel they are being told what to do and have little say in their treatment and life. The other may feel their advice is being ignored or they are being taken for granted with little or no time for themself. They may both worry about finances and how they will pay for doctors, medication and other bills connected with their illness and living expenses. Following the advice above about eating well, exercising regularly, getting a good night’s sleep and getting help when you need it will all help you cope with the demands placed on you by caring. Find someone you can talk to when it all gets a bit too much. This could be a family member, friend or professional counsellor. Join a Carer Support Group in your area where you can talk over your experiences and get tips and support from others who are going through similar experiences. Most importantly give yourself the gift of time for yourself to do the things that you love or need. One of the fears that carers have is losing themselves and forgetting who they are on a deep level. Another is putting their life on hold. By taking sometime for yourself each day you stay in touch with you and your wishes and desires. You can remain strong whatever happens as you are nourishing yourself on a deeper level emotionally and spiritually. Being a carer is not easy but the challenges you overcome can strengthen your relationship with yourself and the one you are caring for. This entry was posted in Essential Oils and tagged carer, caring, headaches, insomnia, muscular aches and pains, physical exhaustion, stress on October 25, 2017 by Carole Hodges. 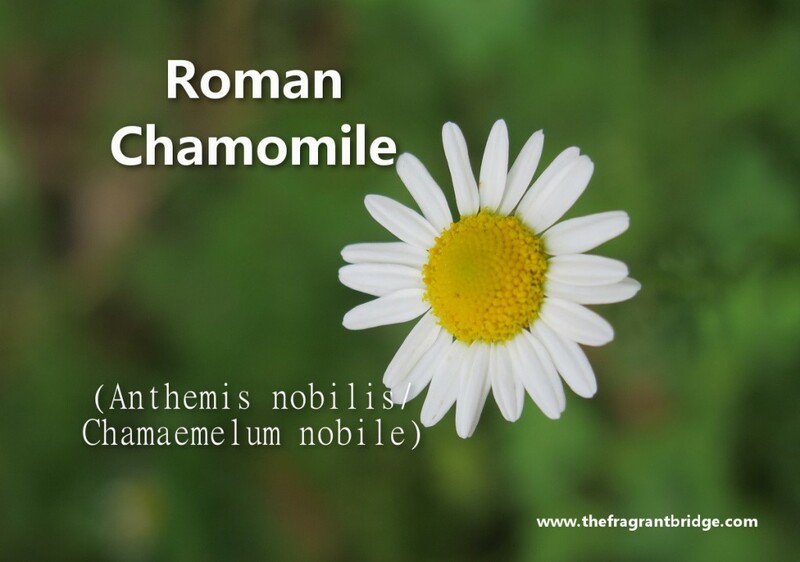 Aroma: Clear, fresh, camphoraceous, sweet, herbaceous. Colour: Pale yellow to green. Plant: A large bush or small tree with many tough but slender branches, a brownish red bark and small sharp pointed leaves. 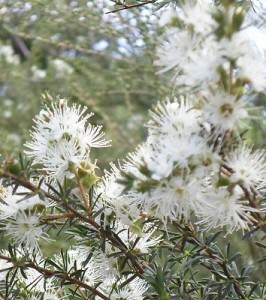 It has white flowers followed by small bluish black berries. Main Growing Areas: North Africa, Mediterranean. Major Constituents: Myrtenyl acetate, 1,8 cineole, alpha-pinene, alpha-terpineol. Interesting snippets: The ancient Egyptians macerated myrtle leaves in wine to counteract fever and infection. In Ancient Greece myrtle incense was burnt on Aphrodite’s (the goddess of love and beauty) altar. Part of Plant used / Extraction: Leaves and twigs by steam distillation. Therapeutic actions: Coughs, colds, bronchitis, asthma, sinusitis, muscular aches and pains, arthritis, inflamed skin, bruises, psoriasis and eczema. Helpful for stress and insomnia. Emotional and Spiritual: Uplifting, refreshing. Eases anxiety and tension and soothes feelings of anger, greed, envy and fear. Provides protection during major life transitions and promotes harmony, love and respect. Susanne Fischer-Rizzi writes that myrtle maybe helpful for people who have had experiences that have made them temporarily unable to see their own beauty and for those with addictions and self-destructive behaviour. 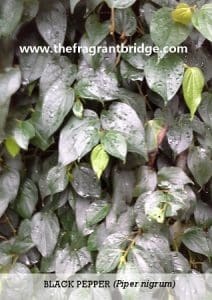 Robbi Zeck writes during dark times, when you are in pain, struggling or feeling disheartened, gentle myrtle with its air of beauty and purity brings comfort and an elemental return to the source. When you are experiencing feelings of separation, use myrtle as a reminder that we are all born connected. Walk in your own beauty and be at one with all things. May there always be beauty around you, above you, below you and within you. Know that you are the gift who shines beauty and light out to others. 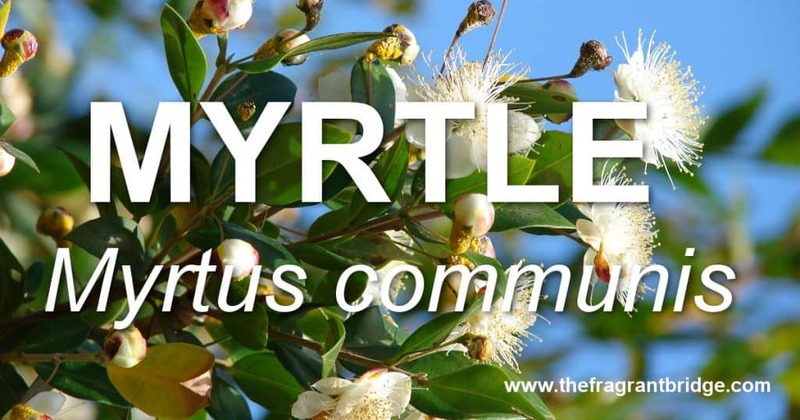 Header image photo of myrtle by Forest & Kim Starr. 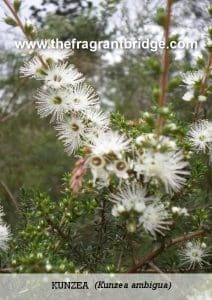 This entry was posted in Essential Oils and tagged coughs and colds, insomnia, muscular aches and pains, myrtle essential oil, stress on September 13, 2017 by Carole Hodges. With the courage encapsulated in ginger’s fragrant breath, we can utter that one crucial word, or think that one crucial thought, that changes our direction and starts the walk along a new and brighter road. Aroma: Rich warm and spicy. The CO2 distilled oil smells more like the ginger root than the steam distilled. 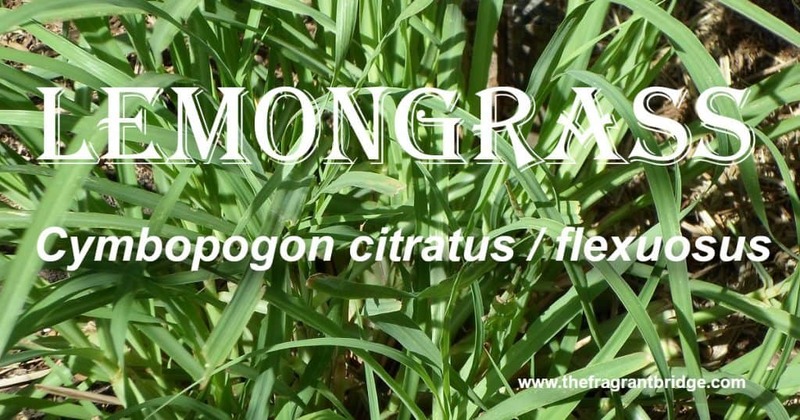 Plant: Reed like erect leafy perennial growing up to one metre with a branched thick, pungent tuberous rhizome (root) growing horizontally near the surface. 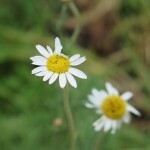 Flowers are small, yellow-green with purple lips. Major Constituents: camphene, beta-sesquiphellandrene, zingiberene, curcumene, gingerin, gingenol, gingerone. 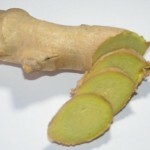 There can be a significant variation in the main constituents depending on where the ginger is grown and distilled. This may affect the aroma and could possibly influence the therapeutic actions. Interesting snippets: Ginger’s use predates written records. It was and still is used as a spice. 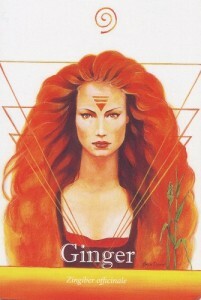 In India, it is said that ginger awakens “agni”, the inner fire of divinity and creativity. 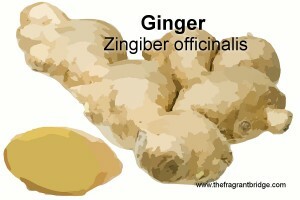 In the Middle Ages ginger was used to counter the Black Death. Part of Plant used /Extraction: Root / Steam distilled from the dried, ground, unpeeled rhizome. 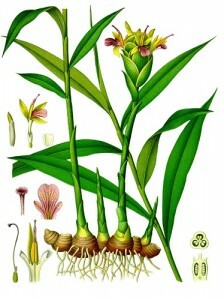 It takes between 20 and 30 rhizomes to produce 1 kilo of essential oil. Therapeutic actions: Nausea, travel and morning sickness. Poor circulation, cold hands and feet, muscular aches and pains. Eases menstrual cramps. Coughs, colds and sore throats. Poor appetite. 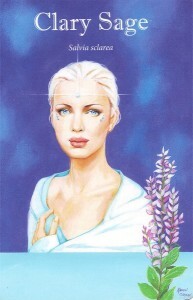 Emotional and Spiritual: Activates willpower, stimulates initiative, restores determination. In those with poor vitality it can help to boost their confidence and morale. Helps when you are feeling emotionally cold and flat. Nervous and/or physical exhaustion. Energizes the aura and encourages inspiration, enlightenment and the replacement of continued futile struggle with a knowing acceptance and transformation. 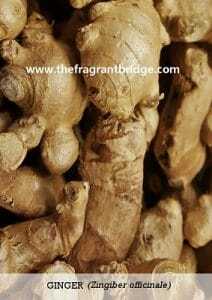 Gabriel Mojay writes that ginger is indicated for those who may have clear plans and good intentions, but who lack the personal drive and optimism to manifest initiative and take real or immediate action. They are frequently disconnected from their physical body, and may shy away from vigorous and sustained activity. 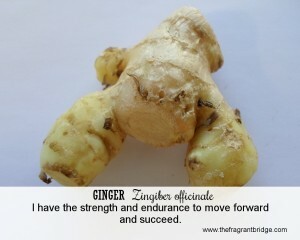 Ginger releases you from procrastinating so that you can just get on with what has to be done. For the emotionally cold-hearted, warm yourself and draw on those hidden reserves of energy. Stop waiting for the right time to do things, as the right time never comes. Take the initiative and complete the hard tasks, and you will feel energized and free. 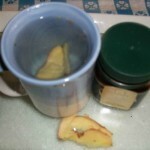 Utilise Ginger to draw on those hidden reserves of energy and stamina, reviving yourself physically with Ginger’s warmth. Fragrant Change: I have the strength and endurance to move forward and succeed. Are you procrastinating, waiting for the right time or people before you begin a project? Do you lack the courage and conviction to put your ideas out there and act on them? Do you spend more time talking about what you will do rather than taking action? Do you have good ideas, make plans but fail to put them into action due to self-doubt? Make the decision to begin acting on your ideas. Take one small action step today towards achieving your goal. Continue each day to take another step until you have reached your goal. Have the courage and confidence to do what’s right for you and put your plans into action. Safety: Non toxic, non irritant but may cause sensitisation in some individuals. This entry was posted in Essential Oils and tagged boost confidence and morale, cold hands and feet, muscular aches and pains, nausea, poor circulation, travel and morning sickness on April 20, 2016 by Carole Hodges. 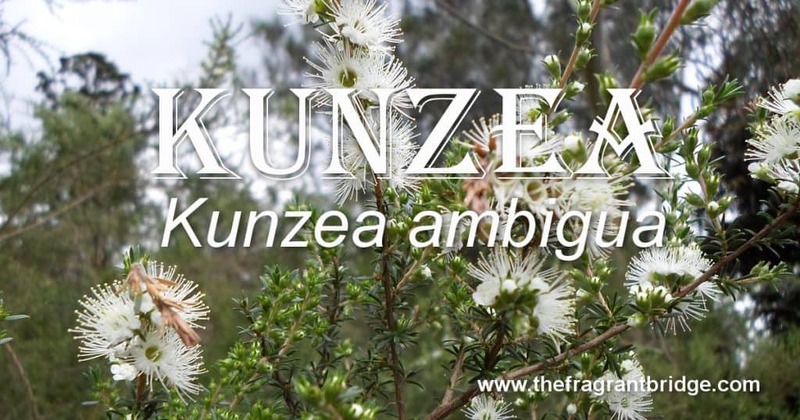 Kunzea is one of my favourite oils for easing emotional pain. Synonyms: Tick bush, Ducane kunzea. Colour: Pale to golden yellow. Plant: Tall, up to 5 metres shrub with small dark green leaves on long arching thin branches. Flowers are small, white (rarely pink) and profuse being 1.5 cm in diameter and crowded along short lateral bracts. Main Growing Areas: North East Tasmania, South East mainland Australia. Major Constituents: alpha-pinene, 1,8 cineole, globulol, viridiflorol, biocyclogermacrene. Interesting snippets: Native animals seek relief from infestations of ticks by brushing against, sleeping or lying under the trees. Part of Plant used / Extraction: Leaves, stems and branches by steam distillation. Therapeutic actions: Gout, insect bites, cuts, minor burns, muscular aches and pains, arthritis, flu, shingles, eczema. Emotional and Spiritual: Nervous tension, stress, mild anxiety. Robbi Zeck writes kunzea helps to defuse deep emotional pain that has grown solid as a result of suppression, creating internal blocks in the body’s meridian system. Pain and crisis are part of the human cycle and mindful awareness can transform pain. Pain in the body indicates that something is wrong. Pain can also activate growth and a potential for healing. Pain is often the opening through which you can learn to trust yourself and see yourself differently. Learn to breathe your spirit fully into life. Use your breath to move you through the fear of pain and the pain of fear. There is no such thing as an event or a pain without a feeling associated with it. Where there is pain in the body, there is always an emotion attached to the pain. 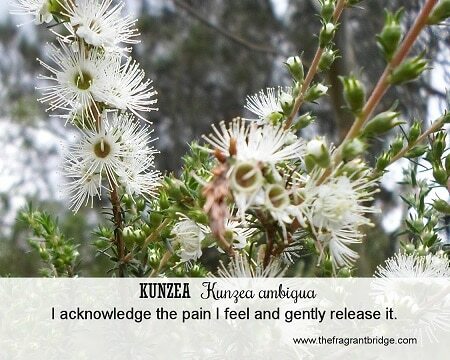 Kunzea assists in the release of physical and emotional pain and in transforming the immediate shock of accidents. 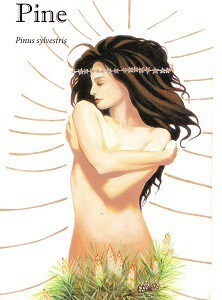 Fragrant Change Healing Card: I acknowledge the pain I feel and gently realease it. Have you been deeply hurt by the words or actions of others? Have you done things that have hurt you on an emotional or spiritual level? Have you suppressed or buried the pain so as not to feel it? It’s time to acknowledge your feelings, forgive those who caused the pain and let it go. Release those who are causing you pain in your life. Find a place where you feel safe. This may include visiting a therapist or speaking to a trusted friend or family member. Regain your confidence. Know that fear and pain are a part of life but dealing with them when they occur instead of supressing them will allow you to move on and enjoy life. This entry was posted in Essential Oils and tagged anxiety, emotional pain, muscular aches and pains, shingles, stress on September 17, 2015 by Carole Hodges.